If you've been following along on my IG stories then you know that I've been in FULL ON cleaning mode. 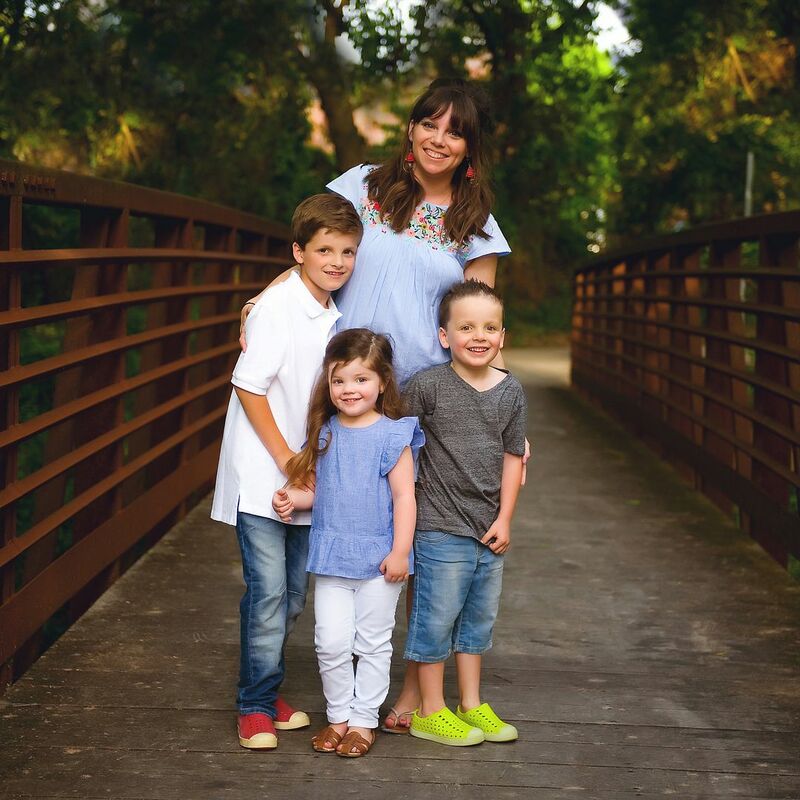 There's something about taking all the trees and garland down that makes me want to scrub, organize and freshen everything up and today I thought I'd share a few little things we've done around the house. I share my house often, but it's usually decorated for a holiday and so I thought it might be fun to share a bit when it's just "normal" along with some of my FAVORITE organizational items because they're on SALE!!! Last year I organized my craft closet using this gift wrap door organizer and it was love at first sight. I'm fairly certain that I could hear angels singing as I loaded all my loose rolls of gift wrap into the holder ;) You can check out THIS POST to read more about which components I picked and why and get a peek into the rest of the closet in THIS POST. Isn't she beautiful?!?!?! I loved the gift wrap organizer so much that when I found out that there was a 30% off deal for them I ordered one and then immediately went and ordered another. If I'm being honest I had to keep myself from ordering one for every other door in my house because they're just that good. I ordered one with the wire baskets for the back of the playroom closet door and we couldn't love it any more if we tried. We still have the bigger game boxes stacked on the shelves but all the smaller boxes and cards and smaller things are now tucked nicely into the shelves and it feels so GOOD! Nothing bangs around when you open and shut the door, the whole system is insanely sturdy, you don't drill ANYTHING into your door (it just slides on and then you tighten it) and it's just wonderful. Amen. ... take it in in all it's organizational glory. It's currently stocked with #allthesnacks because I went a little insane at Kroger last weekend (literally my kids went, "Mommy! You're going kind of crazy in here!" as I loaded down the cart with school snacks that made the thought of returning to school after almost 3 weeks off a little less daunting) and I love that we can see everything and keep track of things when they're running low (which they won't for like 3 years because I bought 800 go-go squeezes). And no - this isn't a food post, but each of my kids takes their lunch to school every day plus two snacks. Typically Mason and Griffin will have a go-go squeeze (we do the veggie/fruit ones) in their lunches and then they get to pick one snack from here and one from the fridge (Greek yogurt cup, string cheese, etc.). The bins are big enough to hold canned goods, bags of chips or whatever else we need them to hold in the future. It's MAGICAL! I went through the rest of the pantry while I was at it and gave it a good cleaning as well. If you want more details on any of the baskets or containers I use in the pantry you can check out this post HERE. The day we moved in I put our two chairs and ottomans in front of the windows facing out and never moved them again. When we decided to put the Christmas tree in the window we moved the chairs around and when the tree came down I decided to leave it like that! At first I wasn't sure, but we've actually been sitting in the chairs more and the space seems SO MUCH bigger. What do y'all think... love it??? With Christmas gone I restyled the shelves and kept it simple. I added in a statue that my Opa bought for my Oma and my mom brought home for me and I absolutely adore it. ... and the playroom got a small rearranging and clean out. We bought this bookshelf before Christmas and I never really had a chance to get it all situated "normally" since we went straight into Christmas decor and I absolutely adore it. It's under $100 but definitely doesn't look it. It's sturdy and simple and we love it! ... and now it looks like this! (except with better light because I took these after school when the light isn't great in his room). I love that now you can see his beautiful window and the workspace we created for him is PERFECTION. He's my "tinker-er" and needed a space to spread out and work. For whatever reason he REEEEEEALLY wanted an orange rug so I "let it go" and obliged even if it goes with absolutely nothing in his room :) My parents always let me have a say in my space at home and I know how much I loved that and want to do the same for my kids. This little shelving unit used to be at the end of his bed and it's AMAZING for kids. It's from the TROFAST series at IKEA and we love it. 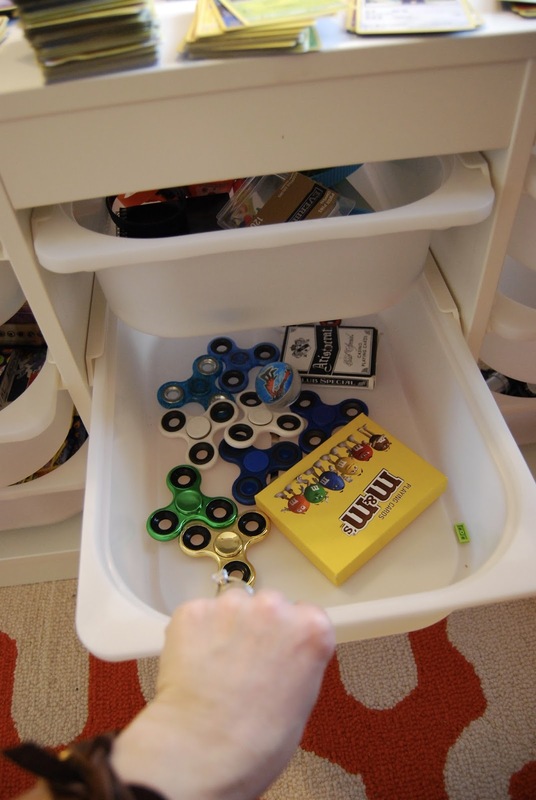 He has all his little bins organized and filled how he wants them and I love that you can access them from both sides of the unit, take the bins completely out and see what's inside them easily. Her desk is the same as the boys and it fit PERFECTLY in this little spot in her room. All three kids have the PAHL desks from IKEA. They're easy to assemble (just be ready to screw in like a billion screws), easy to clean and sturdy enough for little kids. But here's the thing - I NEVER want to give the impression that I have everything together all the time because I just don't. My pantry is organized to the MAX and my game closet is on point right now - but not everything is pretty and organized. Exhibit B - My half painted, hot mess of a bedroom with no bedding (I threw out the old stuff because Jack Bauer chewed holes in it) and painting supplies stacked in the corner. Exhibit C - the stash of pillows and a lamp that currently have no home since we're getting new bedding all stashed behind the couch because I don't know what I'm going to do with it yet. So I need to know - have you been on a big cleaning and organizing kick or are you still sipping hot cocoa by the light of your Christmas tree in the evenings? I'd love to know what and how you're organizing and getting yourself and your family streamlined for 2018! PS - there were a couple of affiliate links in this post - thank you so much for reading and supporting my blog! 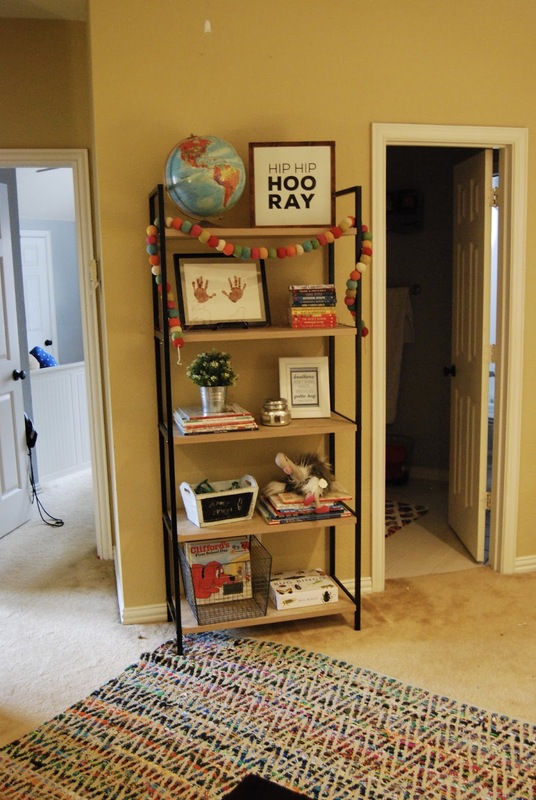 Your kiddos rooms look great! I only wish I was still sipping hot cocoa by the fire! That sounds delightful! Yes! We actually gave our daughter my husbands childhood desk and she’s in love with her little closet office! And, I kept our living room clutter free and rearranged the furniture in there! I love just purging it all and going in with a fresh slate after Christmas! And now, I want like 12 door organizers. Sigh. All of those closet door organizers makes me want to skip work and clean out closets all day!!!! Can you see the top of it on the other side of the closet door? Is it an over the door hanger? Thanks! Not yet because I've been working like crazy at the hospital post-Christmas. But man, do I have the itch to clean and organize!!! Love all the door organization!! Definitely getting one today for my pantry! Did you have them cut your long piece to a certain length? Or would it be easy to cut at home? I have searched the Container Store website and I can’t find the answer to this question. What size door does the closet door system fit? My house is old. The door measures 79”. Will the 77.75” bar work for that? So sorry to bother you with that question but I honestly looked everywhere. And I am curious to the question above about how it looks from the outside. My door is dark wood. LOVE! When the door is closed can you tell there is something hanging over the top? I just don't want to be able to tell it is there. I have been purging and organizing #allthethings as well. I used to work as a professional organizer and I just can’t help it; organizing is my favorite pastime! :) I have the same Elfa systems on 3 of my doors and just bought a utility board to mount on the wall of my laundry room. Your home looks great! NOT ONE of my doors has an organizer. Clearly, that needs to change today. I purged my entire house on new years day it felt so good! I love the desk in the kids room! Love the organizing. What does you new bedding look like? I desperately need new bedding and interested in what you pick. Great job. Where is Mason's bookcase from? Thanks. I think your sitting room looks bigger, but still cozy with the chairs moved! I love the play room bookshelf. Is it sturdy? I'm needing a bookshelf for ALL my nursing school books so it has to stand up to a LOT of weight. I'm loving your door organizers! I'm in the weird "in between" stage at my house where Christmas is picked up but I'm not quite ready to re-decorate with everyday stuff. I'm enjoying the clean surfaces without all the Christmas stuff! We are planning a re-do for my son's room this spring so I was excited you showed detail of Luke's room! I'm off to shop for a door organizer! Love this! Now I want to rearrange all 3 of my kids rooms :) Couple of questions...the door organizer on the game closet...you can still close the door all the way and it doesn't hit the stuff on the shelves?? (I'm assuming so but it doesn't look like it.). Also, what do your boys use for dressers? Our kiddos rooms aren't huge and they have full sized beds (hindsight that was stupid) so if I could elimate the chest of drawers that takes up so much room, I could do so much more with their rooms! Did you customize your door organizer for pantry door? I've been playing on TCS's website for the last 30 minutes! We are currently purging ALL THE THINGS too and it feels SO GOOD. I put shelving in our pantry a couple of years ago and it was pretty much life changing! We now have a place to wrangle all the snacks! Omg I'm in LOVE with those gift wrap organizers!!!! Where did you get the chairs that your kids have at their desks? Thank you! I love the door organizers! I am a organizing FREAK all year long. I can't help it. But I love that I know where anything is on any given day. Love all things organized! I tried to think of a lot of organizational things when we built this house 2 years ago but didn't get it perfect but it's not bad. Love the shelves that hang on the back of the doors. So cool! Happy weekend! This post + yesterday’s IG story = AMAZING!! I got so many great ideas...thank you!! I would love to know what size baskets you have on pantry and game closet! Also would love to know where you got donut paper!!! I feel like as soon as I get one room clean and organized the mess just moves to a different room! We repainted pretty much everything and all the stuff formerly on the walls is just sitting in my bedroom because I want to be 100% sure before I add a nail to the wall!! Love all the organization!! Have you ever done a post about all the board games? (I didn’t see one when I searched) I love that you have and play so many!